Domains International (Blog) | Domains Marketplace: Why do I need a domain? The answer is simple but everything suggests that most Internet users do not know the mechanisms of construction of a website and many are unaware that must always start by acquiring a name for his website and this name is commonly called "domain name". However this is the main question to be answered when it comes to building a web site. It begins with the roof or the structures in the background? Obviously you must get yourself down and get underneath with regard to creating a web site is adquririr a domain, whether a person (called professional domainer) or a company that trades with domains. Then there are various ways to purchase a domain: You can opt for a website that is authorized by ICANN to accept registrations of a new web site and then try to get the name (domain) you want. If you do not find the name you want you can follow the instructions of the website by choosing one of their suggestions. For example, if looking for a domain that has the words "investment funds" and the website tells you that this name has already been purchased, it usually suggests similar names, such as fundswap or fundshow, domains that would cost more than $ 2000. If you do not express interest in acquiring a domain by this value, you must seek other routes. The way forward is to seek other alternatives, some of which are much easier to obtain domains and also less expensive. 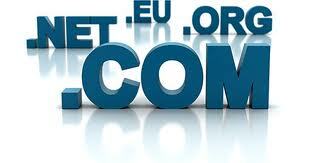 Well, firstly there are thousands of professionals (domainers) who buy, sell and promote their domains. Thousands of domainers are easily found in several groups on Facebook and LinkedIn, especially in these two social networks. In these groups will not be difficult for an Internet user to make their own posting asking the various groups who possesses a domain that is associated with investment funds or similar. However anyone interested in getting a name to create your own website or blog also has the opportunity to visit dozens of web sites freelancer or small business companies dealing with domains. Finally there is the issue of price and unless it is a large corporation, such matter is not secondary. If however if you want a name (domain) that can be associated with your business (investment funds or similar), then it is not difficult to get an agreement and the transaction is done within a day or two. In the future we will talk about what can be considered expensive or a bargain in the business domain. If you are interested to get a name (domain) and create your own web site or blog, click the banner below and choose the category of domains that better match with your business or personal interest.